We won’t be posting the video or a link to it because in it, Griffin plays back a voicemail message from Levin in which he leaves his phone number for her to call him back on. 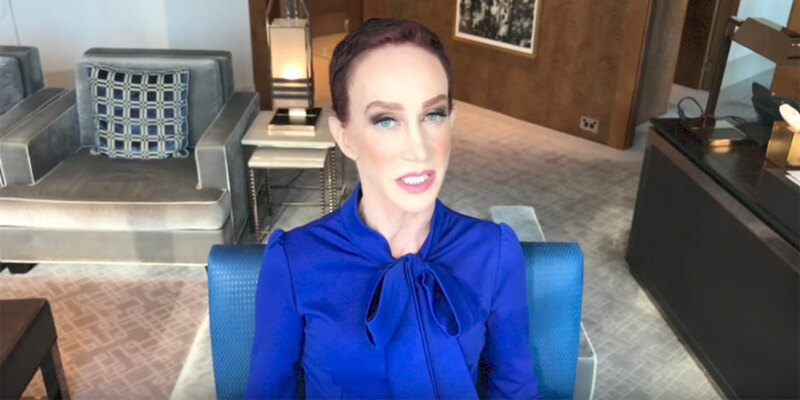 Griffin says she feels comfortable sharing Levin’s number in the video because various pieces of her personal contact information (and that of her mother) were posted after her controversial picture of her holding up the bloody, decapitated head of U.S. President Donald Trump. 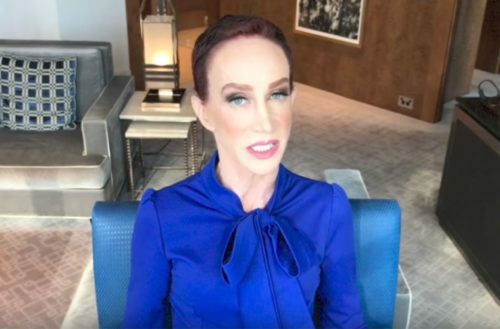 In the video, Griffin accuses Cohen of offering her cocaine before her two appearances on his talkshow, Watch What Happens Live. She also says that Cohen wanted to be her, imitating her jokey red carpet interviews, giving himself his own talk show on Bravo at a time when she had sought one and generally being a horrible boss during their time working together. Yesterday, Cohen pretended not to know who Griffin was when asked about taking over Griffin’s New Year’s Eve hosting gig at CNN. CNN dropped her after she took her Trump picture. She then calls Levin “a gay male version of Kellyanne Conway” (Trump’s close counselor and frequent media spokesperson) and accuses Levin of running a “deeply misogynist website.” She also says that he does nothing substantial to help the LGBTQ community. Every time they (TMZ) cover women, it’s always their cellulite. And the ageism is out of control with this guy…. Every picture of an actress over 40 — or god forbid, 50 — is how hideous they are and how attractive they used to be. I feel this hurts me, as a longtime ally of the LGBT community, I dunno. Like, Harvey Levin, have you ever done anything honorable ever? … I have been an ally of the community long before you (Levin) were out. So what do you do? Besides tear women down and make a bunch of money? She claims that when she appeared to promote her book on Levin’s TMZ show, that Levin pulled her to the side and tried to “brainwash” her into being a Trump fan. She also accuses Levin of speaking to Trump on a weekly basis.